I’m a great believer in the power of fibre. In fact, the F-Plan diet was probably the first proper diet I ever tried. This high fibre diet plan is all about filling yourself up with loads of fibre while eating fewer calories. Because fibre acts like a sponge and absorbs water, it helps fill you up more which is just what you want when you're dieting. Plus it’s harder to chew so takes longer to eat and digest. Kellogg’s All Bran featured in that diet and I’ve been buying the stuff ever since. 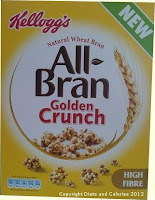 So when Kellogg’s brought out their new All Bran Golden Crunch cereal I had to check it out. Like All Bran, it contains natural wheat bran and is high in fibre. 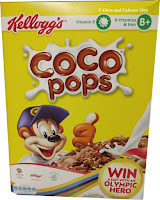 It’s described on the pack as a ‘Crunchy what bran and mixed cereal pieces with a caramel flavour.’ It doesn’t resemble the Original All Bran twig like structures but are more like little clusters of brown and white cereal bits stuck together. 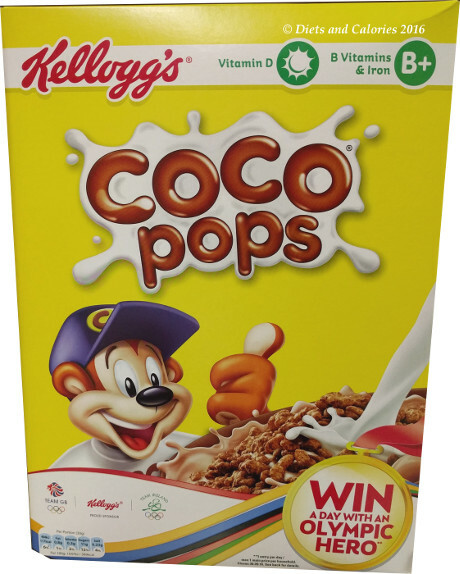 The fibre content is still high but is around half that of the Original All Bran, having 11g per 100g compared with 27g for All Bran Original. I was worried they were going to be very sweet and sticky like some other cluster type cereals. However, they weren’t what I was expecting at all. Opening the pack lets out an almost popcorn like smell which is very tempting. 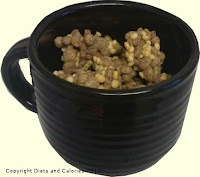 All the clusters are quite large and exceptionally crunchy. You still get the texture of bran but the taste is sweeter with a hint of caramel. They’re lovely in milk and don’t need any added sugar. And with that fibre content, they are filling as well. In fact, all my kids give this a thumbs up, but they won’t touch All Bran. Unfortunately, All Bran Golden Crunch is high in sugar (but so is All Bran as I was sad to find out). It has a medium salt and fat content and is fortified with vitamins and minerals. The recommended serving size is 45 grams which measures out at just under a teacup full. 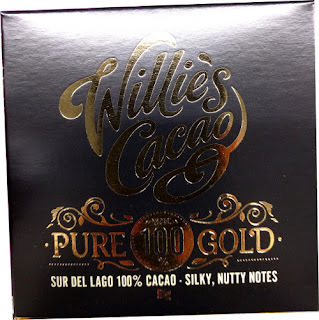 The trouble is they’re just too delicious and everyone ends up snacking on them straight from the box. And unless I pour it out for them, the kids pile their cereal bowls to the brim, meaning an entire box lasts about two days! So, with the high cost of cereals these days, I’ll be buying Kellogg’s All Bran Golden Crunch on an occasional rather than a regular basis. For myself, I’ll stick to the regular All Bran as a high fibre nibble snack or for sprinkling onto yogurts. A box lasts me about 3 months. 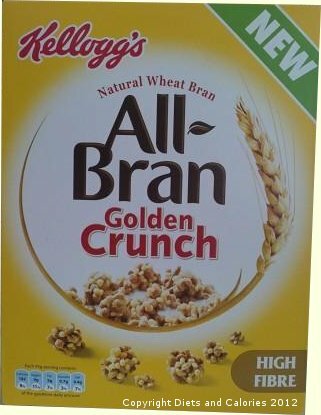 Kellogg’s All Bran Golden Crunch is widely available in supermarkets. Nutrition information per 100g: 405 calories, protein 8g, carbohydrate 62g, sugars 21g, fat 11g, fibre 13g, salt 0.92g. Per 45g bowl with 125ml semi skimmed milk: 241 calories, 8g protein, 34g carbohydrate, 16g sugars, 7g fat, 6g fibre, 0.55g salt.